As an “artist” I find that I constantly compare my work with other peoples. I put artist in quotation marks because I do not feel confident enough to call myself one. When I look at the amazing artwork of Mark Ryden or Tara Mcpherson I am mesmerized by the perfection of their pieces. Then I look at my work in comparison and see the sad realization that I will never be as good as them. As the saying goes we are our own worst critics. By comparing ourselves to others we are actually judging ourselves. This leaves us full of self-doubt. We adopt the notion that we will never be good enough. Our motivation actually decreases when we are hard on ourselves. So the question is how do we stop comparing ourselves? Rather then looking at the work of others, start looking at YOUR work. 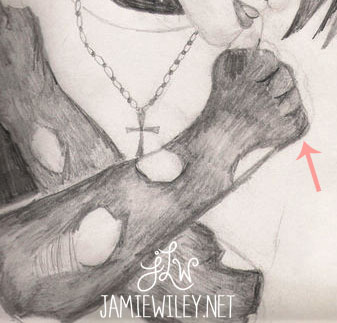 Pull out an old sketch book and compare it with some of your recent work. Look at your own progression as an artist. We are constantly becoming better at things as time goes on. We learn new techniques and with practice our potential is limitless. When you start to really think about it comparing ourselves with others is actually illogical. After all no two people are the same. Each of us posses unique experiences that influence our own person style. Take into account all the things we could learn or improve on if we see the work of other artists as inspiration rather then competition. Instead of drawing out fingers I decided to try to make them wrap around the subjects shoulder. You can barely tell they are fingers. 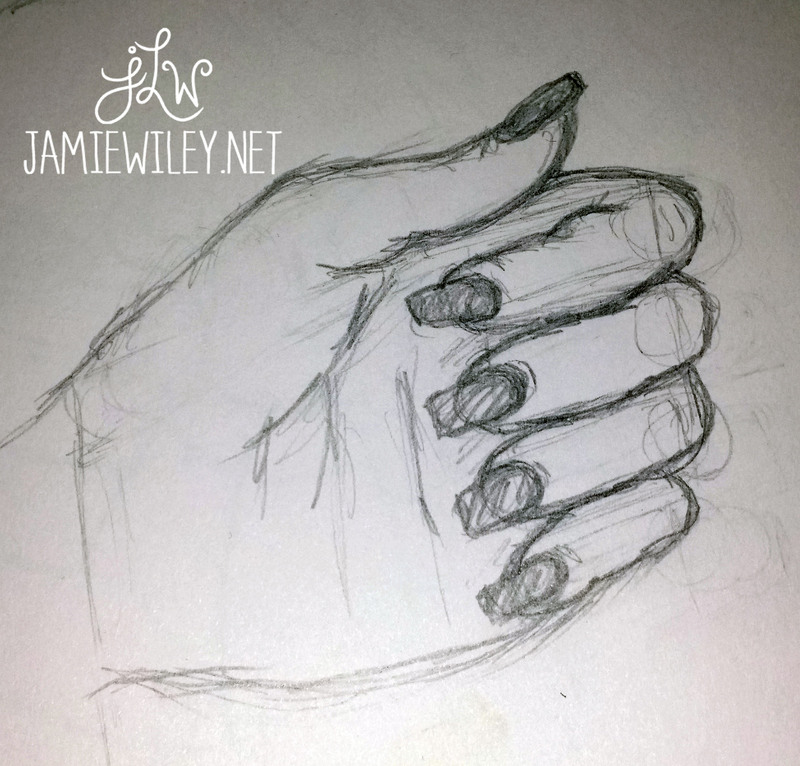 This is a quick sketch I did last night of a hand. It isn’t amazing but in comparison I have come very far from where I was years ago. The more often I practice the better I will become. I remember seeing the phrase, “the art of giving ourselves credit for the smallest victories” somewhere online as I began to write this post. The statement really stood out to me. I believe it is important that we gives ourselves credit for our accomplishments no matter how big or how small.